Spirent is a leading global manufacturer specializing in various equipment and solutions for testing, assurance, analytics, and security needs. The company focuses on continuous innovation to optimize the way the world communicates in numerous sectors. Spirent offers over 80 years of expertise in its field, ensuring high quality and reliable communications equipment. EquipNet is constantly receiving used Spirent equipment through our exclusive contracts with our clients. 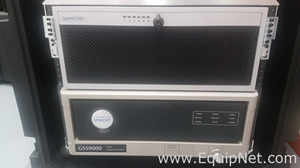 Our inventory of used Spirent equipment includes Communication Testing Equipment, Electronic Testing and Measurement Equipment, and Signal Testing Equipment, such as wireless channel emulators, signal generators, broadband wireless test sets and more. Our inventory is always changing but we are constantly receiving used Spirent equipment. If you do not see the used Spirent equipment you are looking for, call one of our representatives and we'll find it for you. We can also source the right tooling and change parts that you need through our huge network of corporate clients from around the globe.